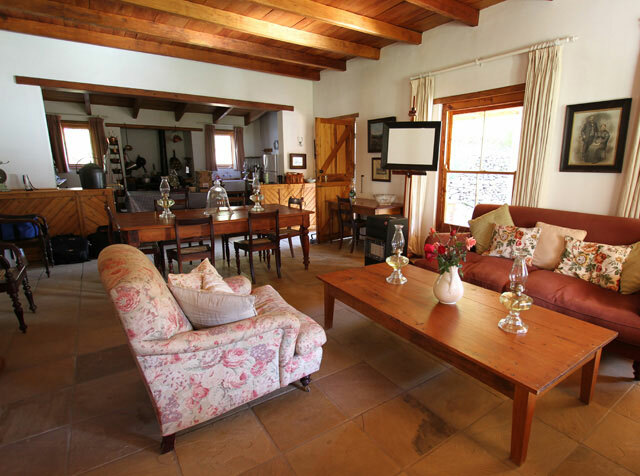 Vredenhof has 2 bedrooms and 3 bathrooms. No effort was spared to ensure that this house is a home away from home. It has a a big King sized bed in the one room and extra length single beds in the other room. 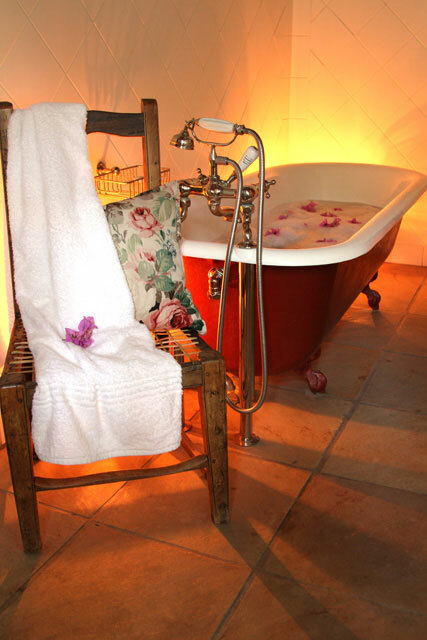 A beautiful Victorian bath invites you to lay back, relax and lose yourself in the moment. An alcove on the stoep has two beds for hot summer nights or lazy siestas. In summer you can cool down in the pool and in winter you can sit in front of the old black stove, while the fire dances and casts shadows on the walls. Like all our houses, it has no electricity, but is fully equipped with paraffin lamps, gas stove, gas fridge and gas geysers. All linen and towels are provided, as well as fire wood. A braai is built into the stone walls for a lekker karoo kuier! Come experience this haven; come find yourself. . .